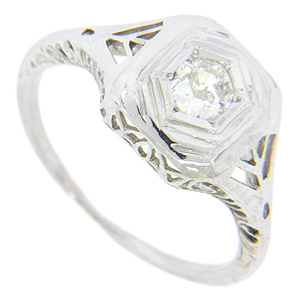 A .20 carat J color I1 clarity round diamond is set at the center of this antique 14K white gold engagement ring. 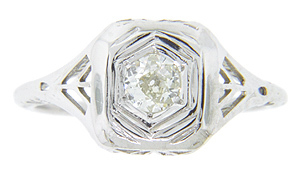 Geometric designs and “V” shapes ornament the ring’s shoulders. 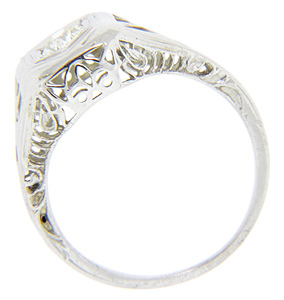 The ring measures 9.1mm in width. Circa: 1925. Size: 5 1/4, domed. We can resize.